A family friendly farm offering pick your own and already picked blueberries. Starting in early July we offer Early Blue, Duke, Spartan and Weymouth all are a sweet variety nice in size. Duke is especially great for traveling. 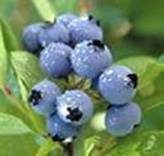 Mid July early August Blue Crop another great traveling berry and Blue Ray favorites among our customers tend to be larger in size and a little tart but delicious. Also available are the Draper, Collins, Pemberton and Berkley these are great tasting and sweet. Starting in mid August Jersey and Rubel round out our season. Jersey an all time favorite for years and Rubel a small pea size berry is excellent for baking. Do you like to bake? Click here to view several Blueberry Recipes to choose from! If you haven’t visited us before you will be pleased to know that we are located just a few miles from Lake Michigan. Bring your towels and enjoy a refreshing swim at Tunnel Park after you’re done picking!